Which tech companies are based in Ireland? Want to further your career with some of the biggest movers and shakers in tech, or join an innovative Irish company? Either way, in Ireland’s buzzing tech industry, you’ll find yourself in good company. Which tech companies are here? Almost everyone who is anyone! We have a huge tech presence with both successful Irish and international firms. Irish companies span a wide range of fields across the industry. You’ll find mobile payment tech happening at Ding, game design at DIGIT and Cloud Computing Solutions at Bizimply, Invoice Fair, The Hire Lab and Silvercloud Health. Currently, some of the most exciting areas in Ireland are Embedded Tech, the Internet of Things and Data Security where firms such as Asavie, S3 Group and Sedicii are breaking ground. See our Research in Ireland page for more information. There is also a crop of revolutionary Irish companies doing unique things, like the social content game changers Storyful and Viddyad and the humanitarian waste-reducer, Foodcloud. Ireland also attracts the world’s most successful international tech companies. Apple has been based in Cork since 1980 while in Dublin’s Silicon Docks, you’ll find the EMEA Headquarters for social media giants Google, Facebook, Twitter and LinkedIn. E-commerce stars Amazon, Etsy, Zalando, Groupon, PayPal, AirBnB and Uber are all based here, as well as IT staples such as Siemens, HP, Intel, Dell, Microsoft and Symantec. Representing the gaming sphere, you’ll find EA, Riot Games and Zynga. And key Cloud Service pioneers include Adobe, Dropbox, Salesforce and SAP, who have centres in Dublin and Galway. What exactly makes Ireland a tech Hub? Well, firstly we’re home to a huge array of dynamic Irish tech companies and the location of EMEA (Europe, Middle East and Africa), headquarters for many of the world’s leading names. There are currently about 80,000 people working in tech nationwide and a further 8,000 IT jobs in Ireland are forecast to open each year. Things happen here and they happen fast, thanks to a thriving startup scene and some of Europe’s most prominent research centres to boot. Honestly, all over. While Dublin’s Silicon Docks area has rightfully earned its nickname for being the centre of Ireland’s tech scene, there are large clusters of tech activity all throughout the country, particularly in our other cities such as Cork, Galway, Limerick and Waterford. What makes Ireland so tech friendly? There are a multitude of factors that contribute to Ireland’s status as a tech friendly place. Why should you be part of Ireland’s Tech Industry? 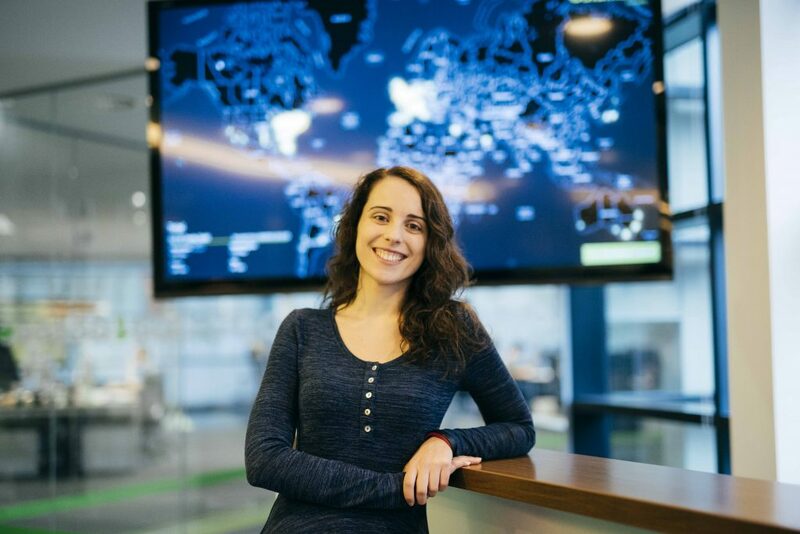 A tech career in Ireland means an opportunity to be part of the evolution of tech. We’re at the forefront of advancing technologies, particularly in the realm of Embedded Tech and the Internet of Things. In fact, Dublin has been predicted to be the first ‘Internet of Things City’ by Intel. It’s no coincidence that it’s also the birthplace of their Curie chip for wearables, or S3 Group’s high speed analog-to-digital converters. Innovation is valued highly and there are a lot of ambitious companies and people based here. If you’re looking for a challenge, Ireland is a place where you can make a real impact on the future of tech. While Ireland both produces and attracts a very talented pool of tech talent, the industry is continuing to grow quickly, and many skills are in high demand. This means your skills and experience will be valued here. You’ll have more choice in what companies and projects you would like to work with, and more opportunities to advance to leadership roles once you’re here. It’s the perfect size for networking and making valuable connections. As an English-speaking country, a career in Ireland can also allow you to develop your language skills while experiencing all that life in Ireland has to offer. Tech jobs are renowned for their accompanying perks. Think free meals and in-house massages to social events and increased flexibility in work hours and location. In Ireland, the biggest perk of all is the ability to strike a better work/life balance than in other tech hubs, where long commutes and late nights at the office can be common.